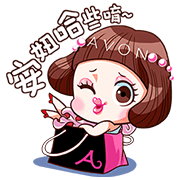 http://www.line-stickers.com/ – AVON Lady: Miss Albee Line Sticker | The ever cute Miss Albee is here in all her loveliness to share international beauty, health, and fashion news with you and your friends! 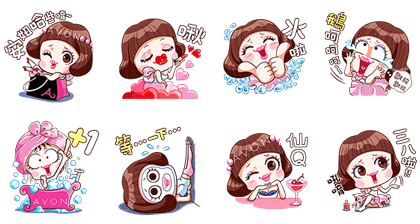 Friend AVON SHOP’s official account to get this set. Available till April 12, 2017. Previous post Lots ‘n’ Lots of Fat Bro John!